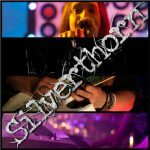 Silverthorn are an outstanding band from West Yorkshire. Their full on stadium rock sound is second to none and their stage show is phenomenal. They will get your venue or event jumping from the first song of the night to the last!